Peach trees produce the best flavoured and most succulent fruit that you can grow outside in a temperate environment. However there is one drawback to their production and that is the ease with which they can be infected with the fungus Taphrina deformans, more commonly known as peach leaf curl. 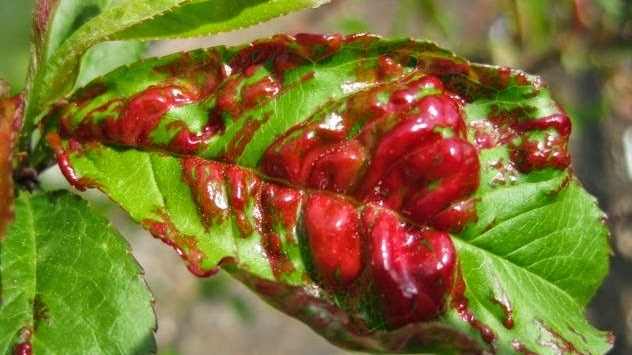 Peach leaf curl is unfortunately both a common and widespread fungal disease and is particularly bad when following a cold, wet spring or if you are growing peaches near expanses of water. Luckily the symptoms are easy to recognise. Soon after bud-burst the young leaves will thicken, curl and twist, and then become discoloured displaying patches of yellow and red. The puckering and reddening increases with a pale, powdery bloom developing across the infected leaves which later turn a dirty brown before prematurely dropping. Young shoots though more rarely flowers and fruit can also become infected. Treating peach leaf curl is not straightforward but it can be effective. Remove and burn all affected leaves as early on in the season as is possible and before the powdery bloom appears. There is no point destroying the leaves later on in the year or spraying them with a fungicide as next year's spores would have already been released into the near environment. 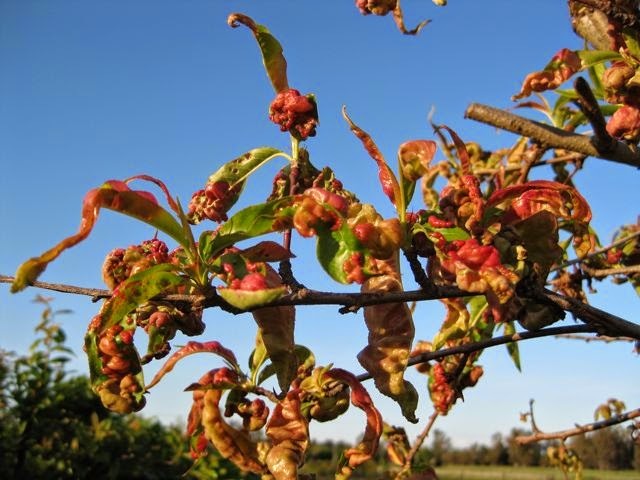 Be that as it may you will need to spray three or four times with a copper based fungicide just after the autumn leaf drop and then again as as the buds begin to swell in late February or early March. 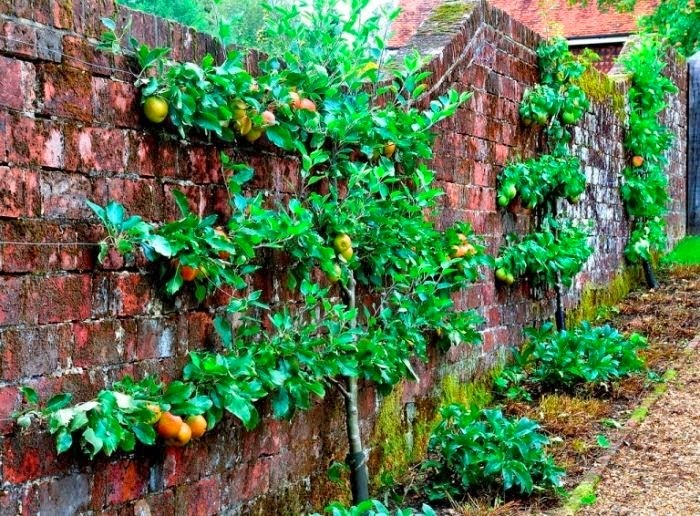 Fan trained trees grown against the protection of a wall can be protected by a clear polythene screen from mid-winter until early spring.